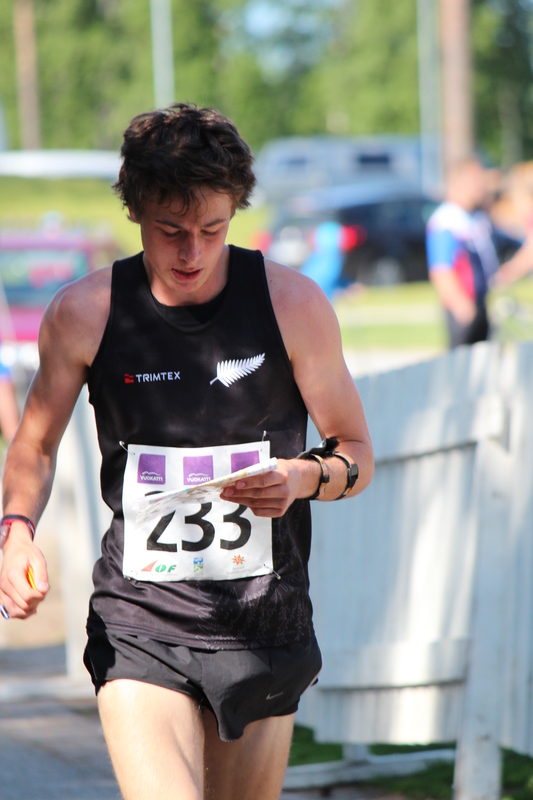 Tim Robertson (Hutt Valley) has had a sensational year, representing New Zealand at both the Junior World Orienteering Championships (“JWOC”) and also the World Orienteering Championships (“WOC”). Tim was recently awarded the Young Sportsman of the Year award at the Wellington College Sports Awards. This award recognised the amazing year that Tim had for orienteering. At JWOC Tim managed to obtain a bronze medal, being only the second male ever to medal from outside of Europe. Tim’s medal continues the rich vein of form that New Zealand has had at JWOC in recent years, with Matt Ogden winning gold in the middle distance at JWOC in 2012. Following immediately from JWOC, Tim went on to compete at WOC where he managed to qualify for the Sprint Final – an amazing accomplishment for someone who is not only a Junior, but was still at school! Tim also represented New Zealand in January 2013 as part of the New Zealand Schools Team that managed to beat Australia, as well as competing as part of the World Cup held as part of the Oceania Carnival. In addition, Tim also went onto represent the New Zealand Schools Team in Australia, and as part of that carnival he won the Mens Elite grade at the Australian Sprint Championships. To get an idea of where Tim is at now see Tim’s post in the JWOC blog.